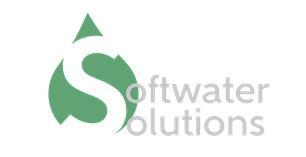 Softwater Solutions - Household Water Treatment, Plumber based in Mursley, Buckinghamshire. Softwater Solutions is family run water treatment business based in a village just outside Milton Keynes with over 35 years' experience. Steve Dyer the owner originally trained by Permutit as a service engineer and has worked on domestic water softeners all the way through to the semi- conductor industry. We cover all MK postcodes including Milton Keynes, Northamptonshire, Dunstable, Leighton Buzzard and Luton specialising in the supply and installation of domestic and commercial water softeners, drinking water filters and Reverse Osmosis purifiers. We also offer free salt delivery and undertake repairs and maintenance on most leading brands of water softeners. We offer a free no obligation on site survey to determine what equipment would best suit your needs, the best location to install it and a competitive quotation to consider. Softwater Solutions has built a substantial reputation, consistently delivering, what we believe, the best in the market customer service and the distribution of high quality products. We welcome any enquiry and look forward to hearing from you.